There are lots of snowboards to choose from, but only one brand that has the snowboards that you need. 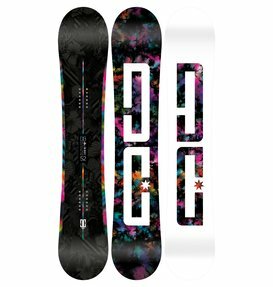 DC Shoes makes high quality women’s snowboards because we understand that your snowboard deck is the most important piece of equipment you have on the mountain. DC Shoes stands apart from other brands because we are experts when it comes to snowboarding and all of the necessary gear you need to be successful on the mountain whether you are a novice rider or a seasoned professional. Our snowboard decks are made to be light, flexible, and sized right for women so that you can confidently strap in knowing that we’re doing everything we can to make your ride down the mountain enjoyable. A common question we get asked in regards to our women’s snowboard collection is, “what size snowboard should I get?” The answer will vary for everyone but some general guidelines that apply to everyone when finding the right size snowboard deck are height and weight. You can use our convenient sizing charts to determine what your size range is according to your height and weight. If you are a newer rider you may want to try a snowboard on the lengthier side of your size range so that you can have some extra stability, and if you are a seasoned rider or are focusing mainly on riding in the park you may want to consider one of the shorter snowboards within your size range. Our snowboards for women are made to be light so they are able to be easily manipulated and controlled as you ride. 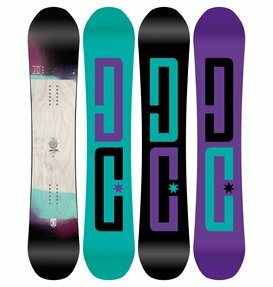 When you shop with DC Shoes you can be certain that you are getting one of the best snowboards for women available, regardless of what style you choose. Finding the right snowboard deck is only one part of the process. There are a lot of other pieces of equipment that factor into your perfect snowboarding experience. If you’re a first time rider, if might be a good idea to purchase one of our snowboard packages that comes complete with bindings so that you don’t have to worry about choosing them separately. Our women’s snowboard packages are meant to make your shopping experience less tedious so you can spend more time on the mountain. We pair women’s snowboards with the right additional equipment for those snowboards so that you can get what you need all in one purchase. There is no need to be intimidated about buying a snowboard deck. DC Shoes has all of the snowboards you need to choose from and we are more than happy to guide you in finding the snowboard that is right for you so you can buy the proper one. Our convenient online shopping experience, wide selection of women’s snowboards, and free customer service help line allow you to spend less time researching and more time riding.